Happy April Vacation Week! If you’re planning a trip to Vaughan Woods, please be advised that the Hallowell Trailhead on the corner of Litchfield Road and Middle Street fills up fast (there are only 12 spaces). Parking along the side of the road is not safe and is prohibited by the City of Hallowell – you may be ticketed if you so. There is ample parking available at the Farmingdale Trailhead at Hall-Dale High School in Farmingdale. Follow this link for details: VWHH Parking & Directions. 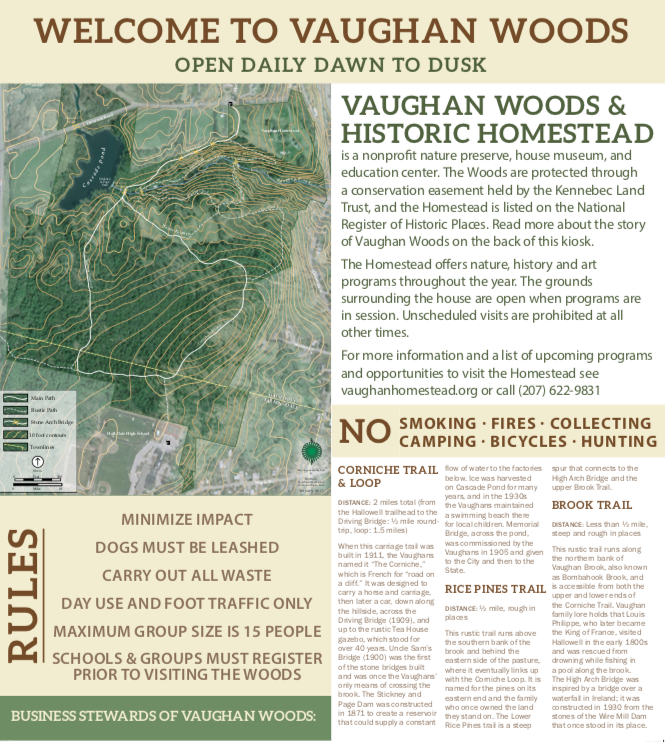 Enjoy your visit to Vaughan Woods!